In the following link from Instituto Cervantes, you can learn about the vision and impressions that many foreign travellers got though their holidays in Spain. Those authors were mainly from the UK, US, Ireland, Canada and Australia and wrote their works between 1750 and 1950. Maybe it can help you for illustrating your twitter activity... They talked about art, popular culture, costumes, stereotypes, territories, etc. 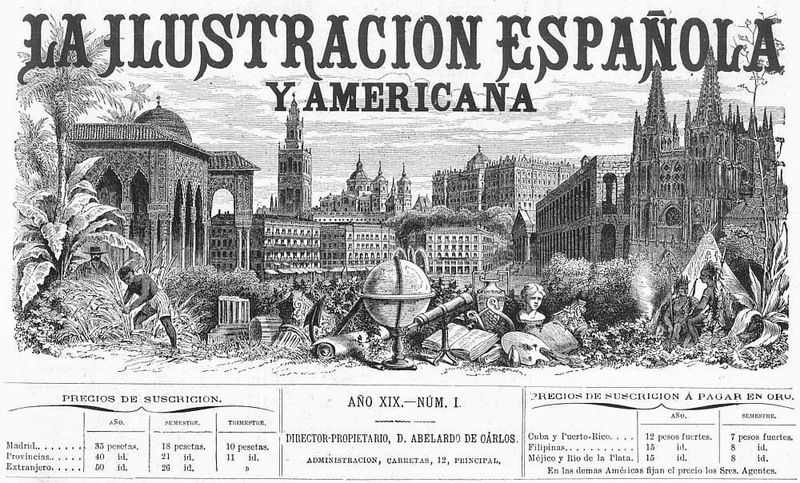 Besides, you can also visit the archives website from "El Museo Universal" or "La ilustración española y americana", Spanish magazines published between the second half of the 19th and very first years of 20th centuries, that were sold as "Journal of science, art, literature, industry and useful knowledge" and were full of illustrations depicting various aspects of everyday life in Spain and Latin American countries.